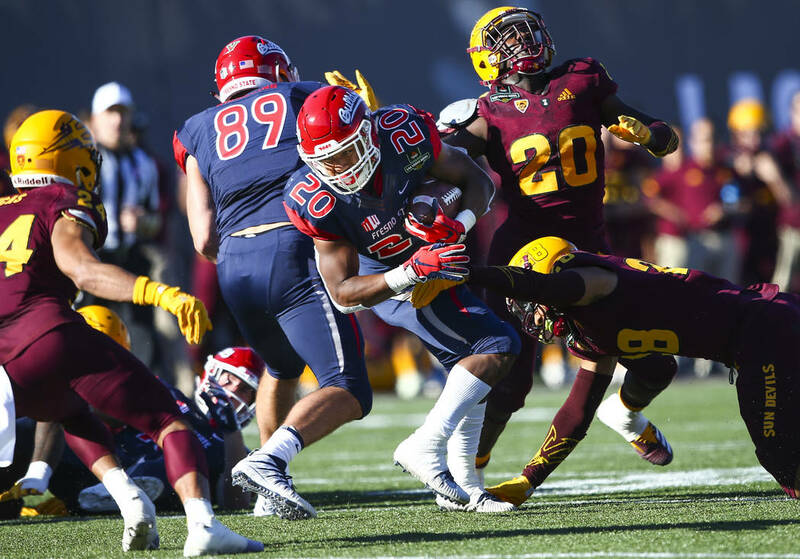 Fresno State running back Ronnie Rivers rushed for 212 yards and two touchdowns and was named the Las Vegas Bowl’s Most Valuable Player. 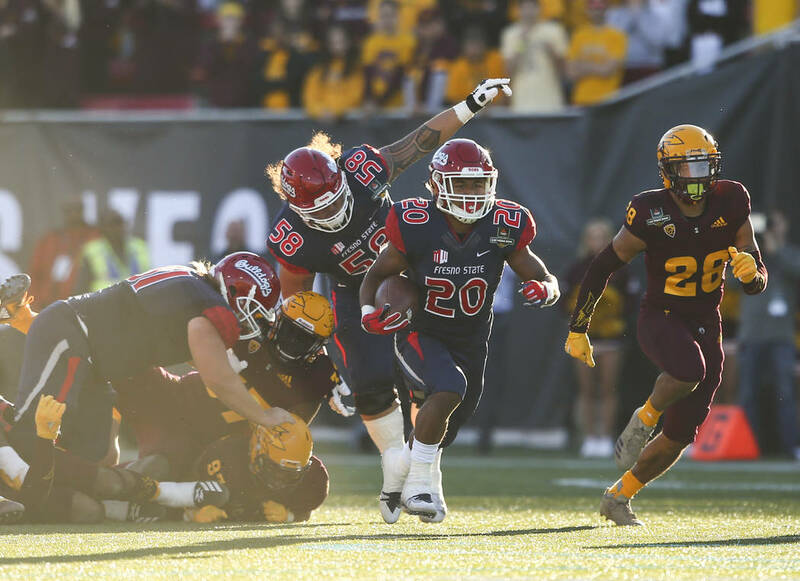 His played helped the Bulldogs to a 31-20 victory over Arizona State. 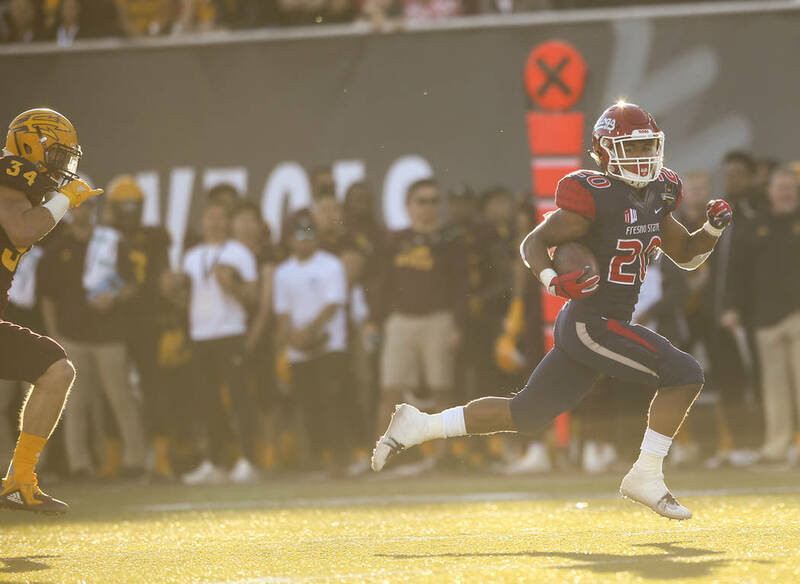 Fresno State sophomore running back Ronnie Rivers wasn’t expected to play until late this season after undergoing foot surgery following spring practices. But there he was on the field Sept. 29 against Toledo, even if it was just for two carries. 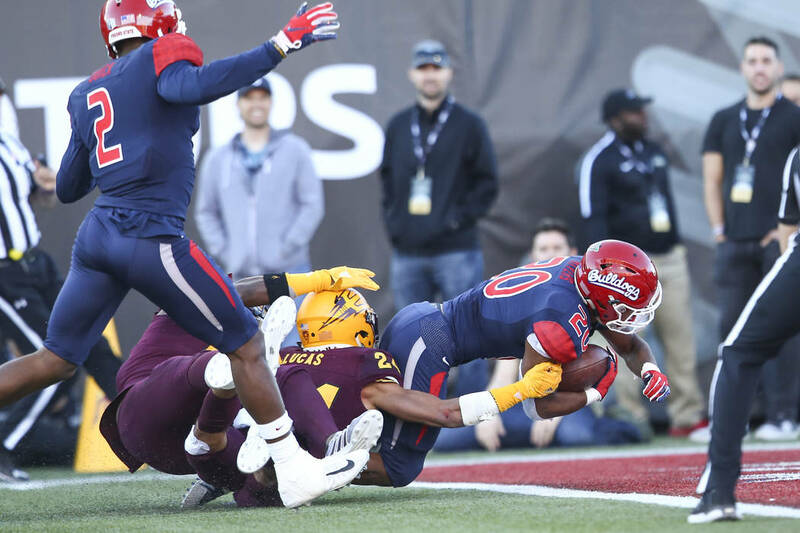 So having to put the offense on his shoulders in the second half of Saturday’s Las Vegas Bowl against Arizona State wasn’t all that difficult by comparison. Rivers rushed for 212 yards and two second-half touchdowns to help the No. 19 Bulldogs to a 31-20 victory at Sam Boyd Stadium. He was named the game’s Most Valuable Player after crushing his previous personal high of 125 yards Oct. 27 against Hawaii. Rivers’ output was the second highest in the bowl’s history, behind the 254 yards that Utah’s Mike Anderson rushed for in 1999 against Fresno State. Washington’s Bishop Sankey, who gained 205 yards in 2012 against Boise State, is the only other back to break 200 yards in the bowl. Being high on rushing lists is nothing new in the Rivers family. His dad, Ron, is second all time at Fresno State with 3,473 yards rushing from 1991 to 1993. It’s one thing to rush for a lot of yards. It’s another to do it when the team needs that production the most. And the Bulldogs badly needed someone to come through after a rough sequence in the third quarter against Arizona State. They had what appeared to be a sure touchdown turn into a touchback for the Sun Devils when Dejonte O’Neal lost the ball diving for the pylon. Quarterback Marcus McMaryion, who had thrown only three interceptions all season, then was picked off on the following two possessions. It was on Fresno State’s following drive when Rivers broke free for a 68-yard touchdown run with a minute left in the third quarter that put the Bulldogs in front for good at 24-20. His 5-yard scoring run with 5:19 to play all but clinched the victory. “It’s an unbelievable feeling being able to accomplish so much in one season, and I couldn’t do anything without my team,” Rivers said.